I really hate to do this, but it seems like I most likely will have to bribe the police at some point because I do not have a motorbike license and I'm driving a scooter in Indonesia for several weeks. Ride a 125cc scooter in Indonesia if I only have a European car licence? Is it safe to drive a motorcycle in Bali without IDP? So my question is: what is the minimum amount (in 2015) I can expect to pay when the police stops me and start pressuring me for some bribe? The standard "on-the-spot fine" for minor and/or imaginary traffic infractions while white is Rp. 50,000. Indonesians may get away with less, the average bule will need to haggle to get even that low. I'd advise you to reconsider renting a scooter though. First, you do need that license to drive legally, and any insurance you may have is likely invalidated by not having one. And second, the accident rates on Indonesia's roads are pretty horrific and scooters/motorbikes are the most dangerous form of transport. Setiap orang yang mengemudikan Kendaraan Bermotor di Jalan yang tidak memiliki Surat Izin Mengemudi sebagaimana dimaksud dalam Pasal 77 ayat (1) dipidana dengan pidana kurungan paling lama 4 (empat) bulan atau denda paling banyak Rp1.000.000,00 (satu juta rupiah). Following up on Jpatokal's answer. 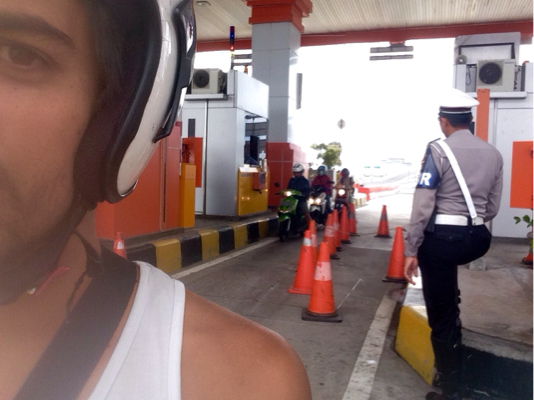 After staying for a month or so in Bali, I got stopped two times by a police control. Each time they asked for a bribe of 200'000 IDR to let me go. The first time I only had 100'000 IDR in my wallet, they ended up accepting it. The second time I was ready with a dedicated pocket having only 50'000 IDR, and they ended up taking it. Note that each time I told them I had not the 200k the policemen were not amused, so I had to put on a act so they believed me and ended up giving up. 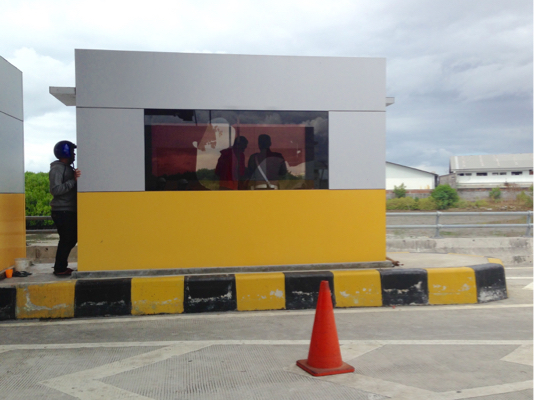 There is a dedicated queue for motorbikes at the toll. And behind was 2 policemen stopping motorbikes one after another, they were doing a killing. I stopped only a few minutes and I saw them getting bribes from 2 other motorbike riders, a local and a tourist. This is the policeman stopping motorbikes just after the toll. The second time, a group of around 15 policemen were located on a main road just after a curve (close to Kuta), stopping many motorbikes, and again, stacking on illegal money from bribes. Not the answer you're looking for? Browse other questions tagged driving-licenses indonesia motorcycles officials corruption or ask your own question. Is it legal for officials to hold my foreign driver's license as a guarantee for a traffic fine? Indian driving license in Indonesia? Banyuwangi to Kawa Ijen by motorbike, possible? Renting a motorbike from a private person in Indonesia? Which motorcycles can I ride in the US with an Israel A1 license? Can I ride a motorcycle in the US with a Pakistan license? How to get a motorbike to ride from Yogyakarta to Bangkok?